The pattern for the quilt and cushion is available in Issue 3 of Quilt Now so I can't show the construction but it is a very simple, single block used in rotation which seems to be my trademark these days. Issue 3 looks like this and you'll find lots of other lovely projects between the pages. 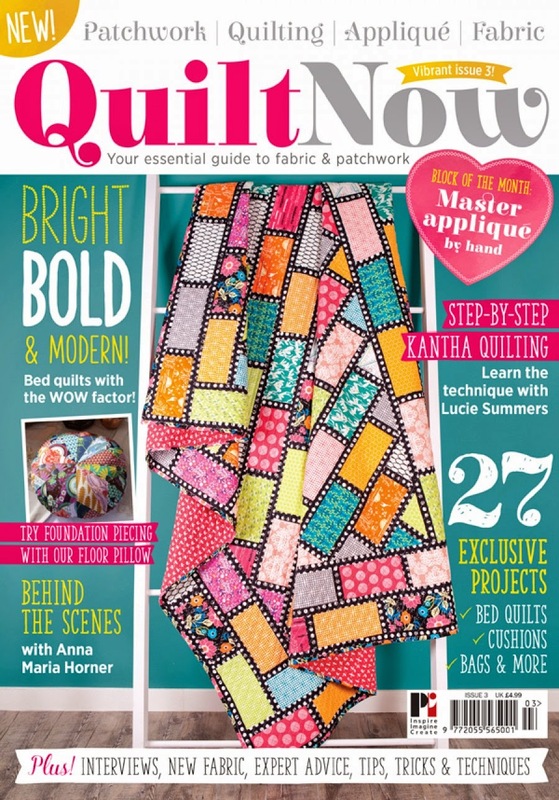 The cover quilt is by the lovely Lynne! 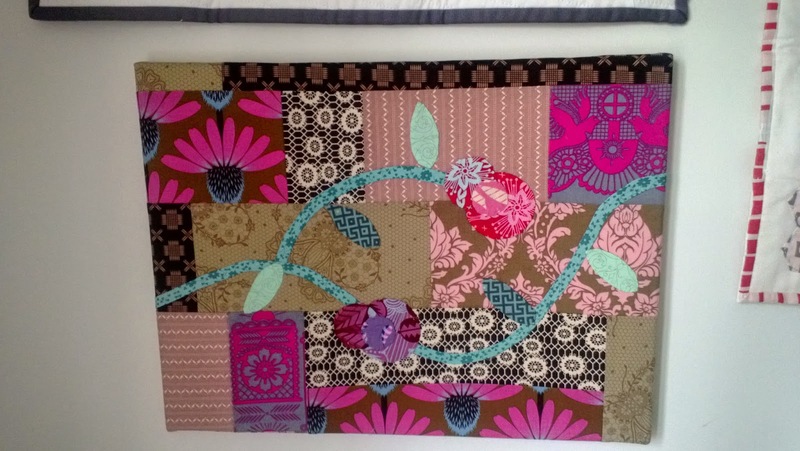 There's also the free project tutorial for this month's BOM, Wall Art, which is live on the Quilt Now website. Hope you are better and raring to go in the morning. Your cross granny quilt as I misnamed it talking to my hubby is a lovely one, and I quite like the name cross granny! Ohh this was one of my favourite patterns in the new issue, I can't wait to find an excuse to make it!! I love that quilt! Feel better soon! wishing you a speedy recovery and getting back to your stitching. Not heard of touch draw so off now to investigate! Feel better soon! I've finished sewing my commitments tonight, but I have 3 patterns to write up in the evenings after work before I go away for the Brit Bee Weekender on Friday morning - eek!